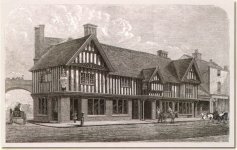 The Old Crown, Birmingham’s oldest building, dates back to 1368. It has been a manor house, a school, a hostelry, home to a bishop, owned by the Earl of Dudley and King Henry VIII and visited by Elizabeth I. New owner, Oakcombe Limited, spent £1.7m in restoring this historic building to its former glory after it fell into disrepair. The fabric of the building restored, it was necessary to market the venue and ensure that it was properly staffed. Metropolis 2 devised a comprehensive marketing strategy which would include staff recruitment and staff ethos. The marketing strategy was to position The Old Crown as a leading venue for corporate entertainment. It was therefore critical that the staff would shine. Metropolis 2 worked with the company brought in to train the staff and helped source essential items, from coasters to crockery, and from staff uniforms to wine. The Old Crown had been closed for some time so the campaign had to motivate recruits to apply for the training programme. Metropolis 2 created and implemented a PR and advertising campaign, emphasising the historic significance of the venue and the benefits of staff membership – terms and conditions and CPD opportunities within the Oakcombe empire. Ghosts were reputed to abound at The Old Crown so Metropolis 2 issued press releases on sightings with details of the people who had claimed to see the apparitions. Local radio stations picked up the stories and James Manning and the account team were interviewed about the sightings. Interviews provided opportunities to highlight the need for first rate staff, from front of house to bar staff "who would be used to dealing with spirits". The training programme was a great success. By the venue's four day launch programme all staff knew their individual roles and how they interfaced with each other. The venue went on to receive approval from media food critics and customers alike. The ghost sightings continued and Metropolis 2 introduced "The Old Crown Files" in which diners, guests (the venue is also a hotel) and staff enter details of their encounter with spirits.